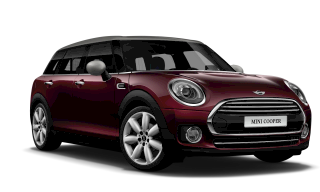 Just one look at the MINI Clubman and your heart may get carried away. Bold and distinctive, it’s designed to cause a stir. But it’s not just eye candy. More versatile then ever, it’s the MINI for all occasions. 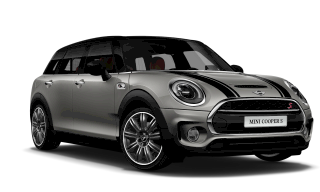 The MINI Clubman´s iconic hexagonal grill, big round round head lights are given a fresh and funky twist, while new design lines add flair along with striking front and rear spoilers and the aerodynamic air breathers for front wheels. Also check out the refurbished illuminated fin antenna on the roof. Take in the distinctive yet accessible Split Doors of the MINI Clubman. When your hands are full, the easy Opener allows contactless access by waving a foot below the rear bumper – of cause also by remote. The horizontal lights, broad shoulders and athletic stance of the rear, incite admiration. The MINI Clubman is longer and wider than the previous model – and what it’s gained, it uses wisely. The extra space allows for the introduction of five seats, four passenger doors and the distinctive Split Doors at the rear for comfort and practicality. Like you, the MINI Clubman is a social animal. 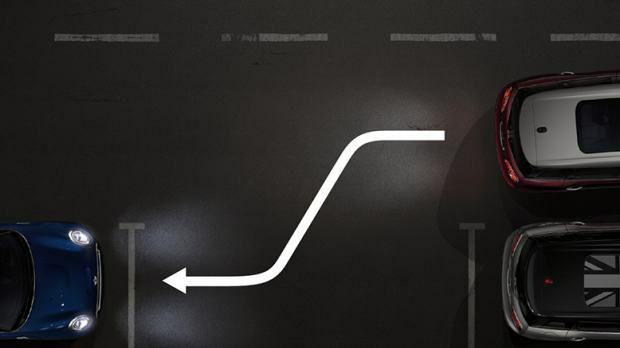 It stays ahead of the curve by staying connected. 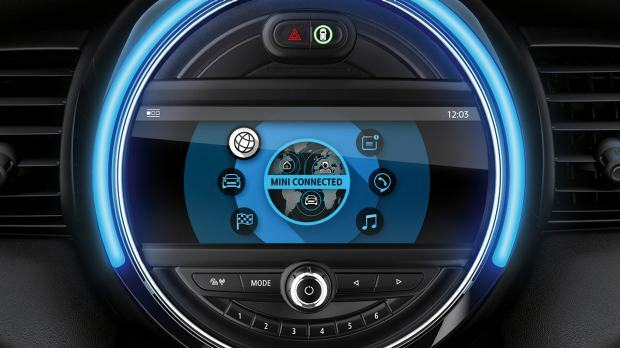 The optional MINI Connected package links you up to social feeds, online music, driving information, in-car apps and much more, in a way that only MINI can do. MINI Centre Instrument is the window to a world of technology features and online services. Housed in an iconic circular interface with a gorgeous high-resolution colour display. 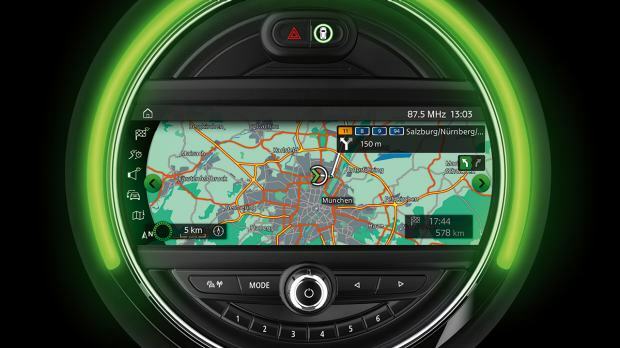 This crystal-clear screen controls everything – entertainment, navigation and the advanced technology of MINI Connected. Think personal mobility assistance, music, audio books and many more. 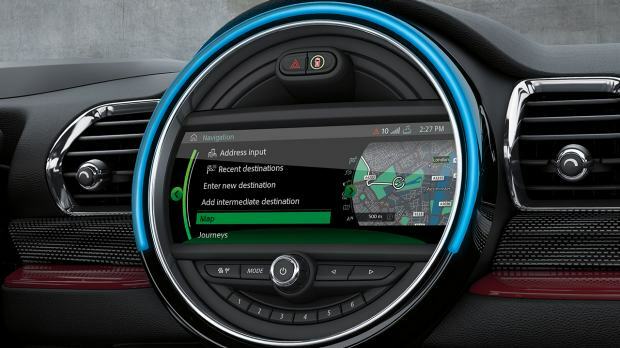 The LED ring around the MINI Centre Instrument changes colour in response to different events, like music volume, revving the engine, telephone calls and navigation prompts. A Wired package exclusive: the 22.4-cm/8.8-inch touchscreen has been revamped. It‘s easy to use and provides an uncomplicated overview of the wealth of information at your fingertips. Also comes with split-screen functionality. Of course, the most important feature in the MINI Clubman is you. 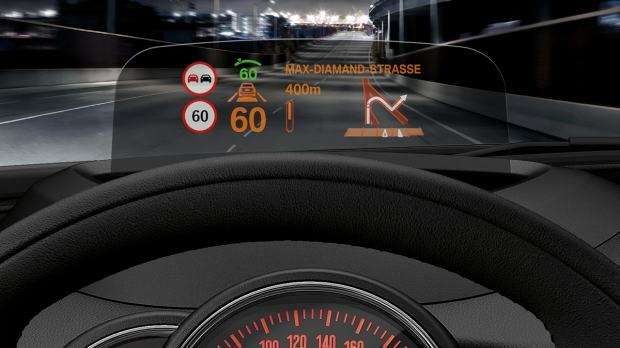 Intelligent driving assist features act instantly on impact and ensure that safety is priority number one. 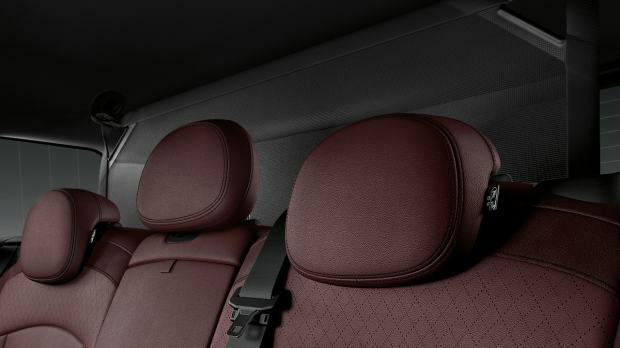 So you can feel secure wherever the MINI Clubman takes you. In the MINI Clubman you’ll always want to make the perfect entrance. So, Parking Assistant sizes up available parking spaces before taking charge of the wheel to make short work of tight spots. 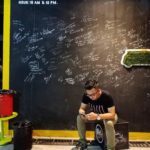 All you have to do is apply a little throttle and the brakes. The MINI Clubman likes to break with convention, so you can say goodbye to the humble but bulky handbrake. Electric Parking brake allows you to just press a button and the brakes will be activated every time you stop, park or have to make a hill start. Sometimes the simple things matter most. And if you need to brake hard, the invaluable net protects passengers in the cabin from anything going freestyle in the luggage compartment. 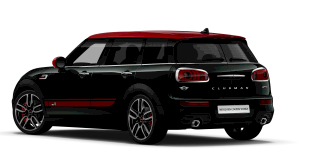 Take a closer look at the MINI Clubman. With so many cutting-edge features, it’s a good job the MINI Clubman has a completely new cockpit design that’s as innovative as the technology within it. 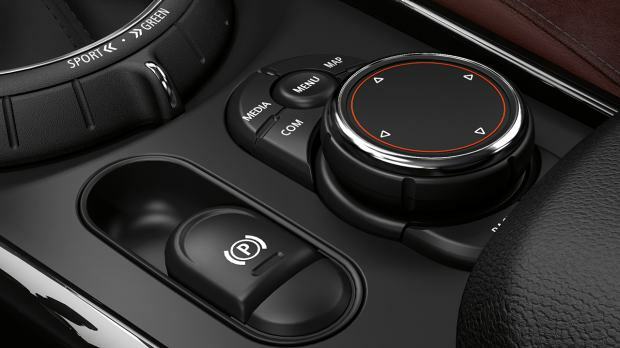 A new centre console frees up space by ditching the tradional handbrake. While the controls are marked out clearly by coloured cockpit facia frame. 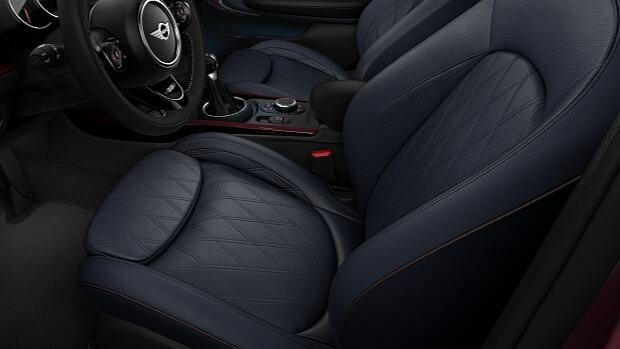 Luxurious upholstery and high-quality materials include leather Chester seats with diamond-pattern stitching. Everything is also more colour co-ordinated than a designer’s studio, with matching colours on all surfaces. Including the door casing. 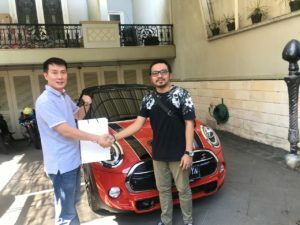 The MINI Clubman will get a lot of attention, but the MINI Yours design programm really allows you to make it the apple of your eye by customising it your way with unique styling touches inside and out.